Submitted by Andrew on 02/20/2019 - 4:02pm. The Tanner Closet provides WMHS students and their families with basic needs such as food, clothing, toiletries, and school supplies. They are in need of supplies for students and families in need. 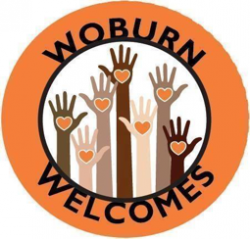 Please join Woburn Welcomes at Tudo na Brasa (414 Main Street) on Thursday, March 14 from 5 to 8 p.m. Submitted by Mollie O'Brien on 11/16/2016 - 10:41am. 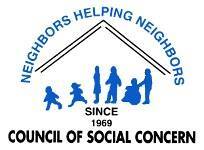 Volunteers are needed at the Council of Social Concern Food Pantry this Friday, November 18. It's a large delivery day for them and they are looking for volunteers to help unload cars and trucks. Two shifts are available: 10am-12:30 and 12:30-3pm. Please spread the word about this volunteering opportunity! If you're interested in volunteering, or have any questions, please contact Debbi Pisari at debbi@socialconcern.org. Submitted by Mollie O'Brien on 10/26/2016 - 10:37am. We'd like to send a friendly reminder out to all citizens of Woburn: the Henry Shaughnessy Memorial Food Drive will be taking place this Saturday, October 29, 2016. All donations will help stock the shelves at the Council of Social Concern Food Pantry! Please remember to put out your non-perishable food donations (within date and preferably not in glass jars) this Saturday, before your mail is delivered. Your letter carrier will collect it and deliver to the Council of Social Concern's food pantry. If you prefer to make a monetary donation, please make your check payable to "Council of Social Concern" with "Food Pantry" written on the memo line and leave it clearly marked for your letter carrier. If you have any questions, please contact Debbi Pisari, Food Pantry Director at the Council of Social Concern. 781.935.6495 ext. 208 OR debbi@socialconcern.org. Submitted by Mollie O'Brien on 10/17/2016 - 11:38am. The Henry Shaughnessy Memorial Food Drive will take place on Saturday, October 29, 2016. All donations will help stock the shelves at the Council of Social Concern Food Pantry! In the past, Letter Carriers have collected and delivered thousands of pounds of food to the Food Pantry. Please remember to put out your non-perishable food donations on Saturday, October 29, 2016 before 9:00 AM. Your Letter Carrier will collect it for Council of Social Concern Food Pantry. If you would like to make a monetary donation to the Food Pantry, please make your check payable to “Council of Social Concern” with Food Pantry written on the memo line and leave it clearly marked for your Letter Carrier. The Henry Shaugnessy Memorial Food Drive will take place on Saturday, October 29, 2016. All donations will help stock the shelves at the Council of Social Concern Food Pantry. Letter Carriers will be collecting any non-perishable food donations before 9 AM on Saturday morning. Monetary donations will also be accepted - checks made payable to "Council of Social Concern" with Food Pantry written on the memo line. Submitted by Dan Arrick on 10/27/2015 - 5:40pm. The Henry Shaughnessy Memorial Food Drive will take place on Saturday, October 31, 2015. All donations will help stock the shelves at the Council of Social Concern’s Food Pantry. In the past, Letter Carriers have collected and delivered thousands of pounds of food to the Food Pantry. We may not realize it, but every day we see people who need food assistance in order to adequately feed themselves and their families. They are in our schools, our churches, our workplaces, our neighborhoods and our community. Hundreds of our neighbors in Woburn rely on the Council of Social Concern’s Food Pantry when their circumstances leave them with nowhere else to turn. We are counting on your generosity once again to help keep our shelves stocked through the winter months. Hunger is a problem we can all do something about, so please join with your Woburn Letter Carriers to make the Henry Shaughnessy Memorial Food Drive an extremely successful event!